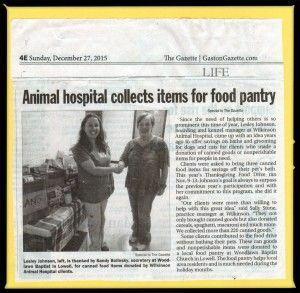 At Wilkinson Animal Hospital, we strive to be connected to our community and to help where we can. 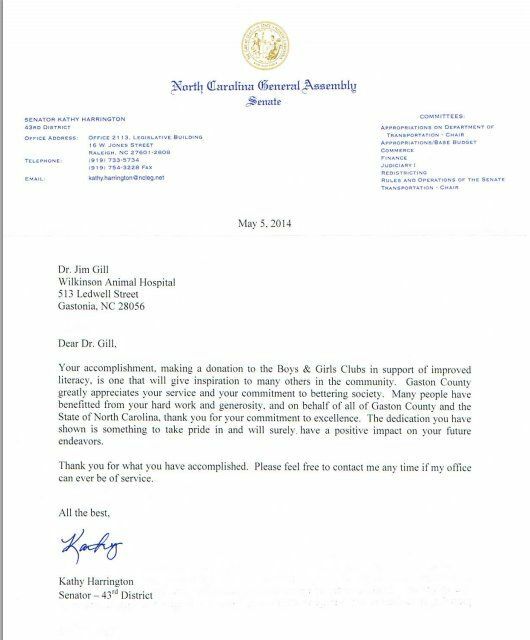 On this page are some of the acknowledgments we have received. 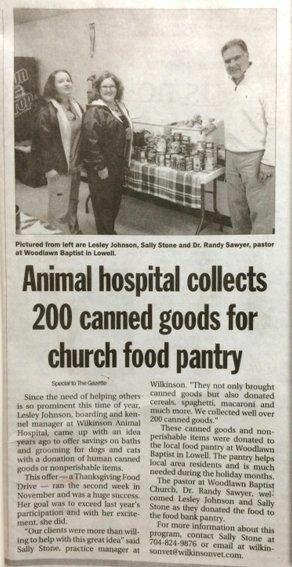 Animal hospital collects 200 canned goods for church food pantry. 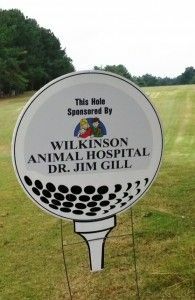 Wilkinson Animal Hospital Supports local church fund raiser golf tournament. 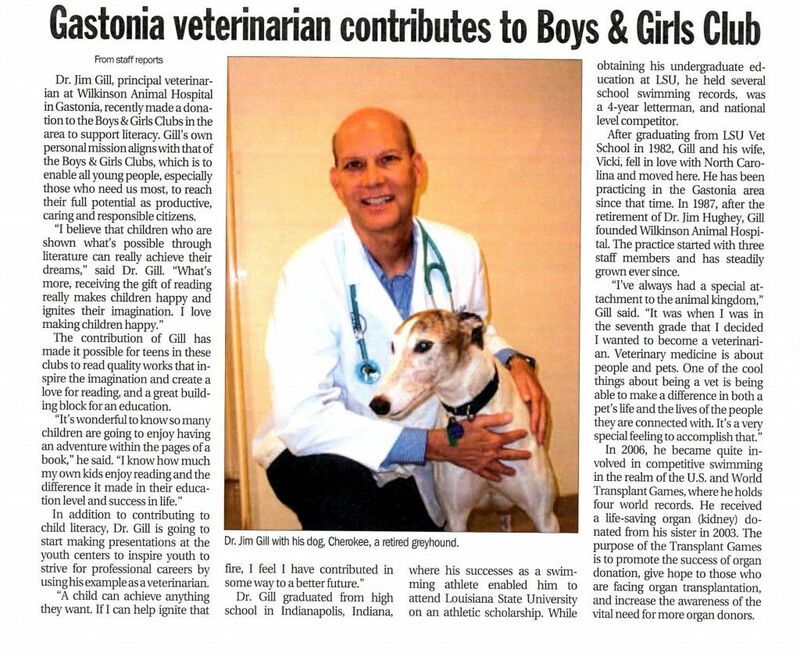 Local news mentions Dr. Jim’s work with Boys & Girls Club. 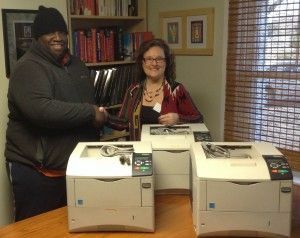 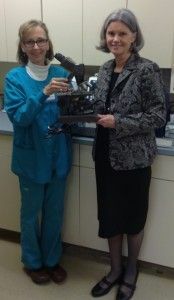 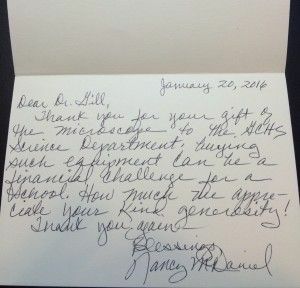 Dr. Jim Receives a Letter of Recognition from State Senator Kathy Harrington.